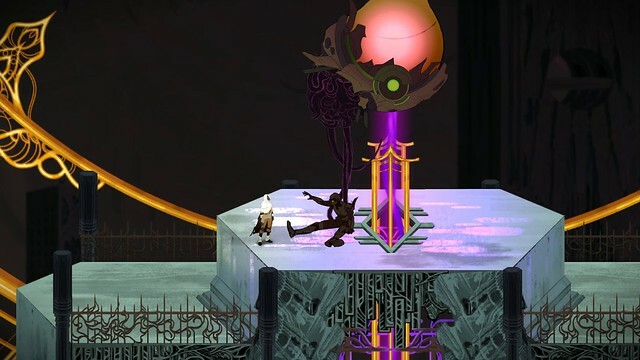 For those of you who don’t know, Sundered is a horrifying fight for survival and sanity. It’s a replayable Metroidvania where you resist or embrace ancient eldritch powers. The Embrace trailer introduces the third region in the game, the Eschaton City, and shows off the corruption aspect of the game which I’ll get into later in the post. 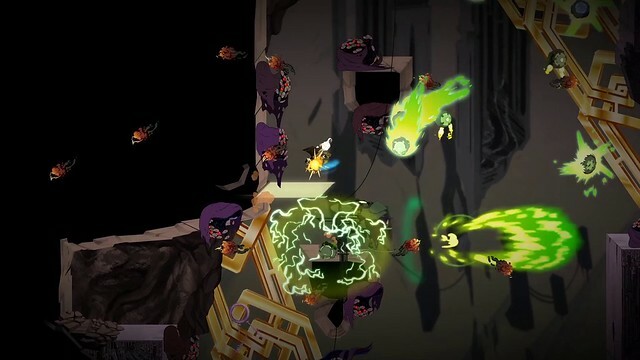 Sundered’s core game loop revolves around exploring a procedurally generated dungeon and fighting hordes of dynamically spawned enemies to collect shards. When you die, you’re brought back to the central Hub where you can spend those shards in a Skill Tree. You’re then free to go back out into the caverns and progress a bit further. 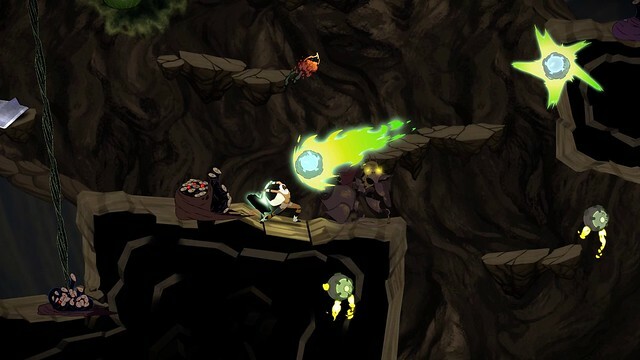 When we announced Sundered, many players argued that a Metroidvania could not be procedural. We respectfully disagree. Every time you die, the physical rooms in the dungeon are re-shuffled. Though the overall structure of the world is set in stone, subsections take a random sampling of preset rooms and assembles them to create a different flow every time. Think of it like Diablo 2, where the progression of the levels is always the same, but the individual tiles are always different. 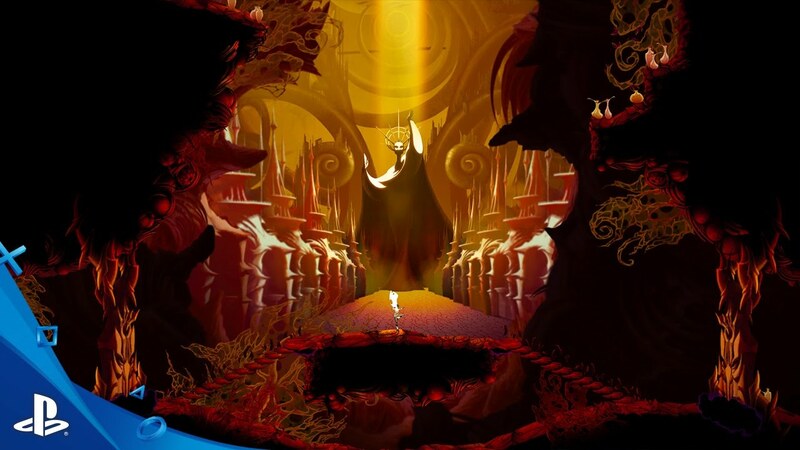 This allows us to make design choices which are core to a Metroidvania experience like backtracking and unlocking new abilities that unlock new regions. We didn’t stop there though. We want the monsters in Sundered to be unpredictable, for you to feel like madness is just around the corner. To achieve this, all the monster spawns are dynamic. Like in Left 4 Dead, the monsters spawn based on a number of factors (time, stress level, current region). This adds a multiplicative layer of uncertainty, since the second layer of randomness of the monsters gets added over the already random dungeon. This creates hordes of eldritch horrors that lurk within the shadows, waiting for the player to fall into their trap. Throughout exploration and combat, you collect Shards, and, when you die, you respawn in the Hub, the world’s central landmark. 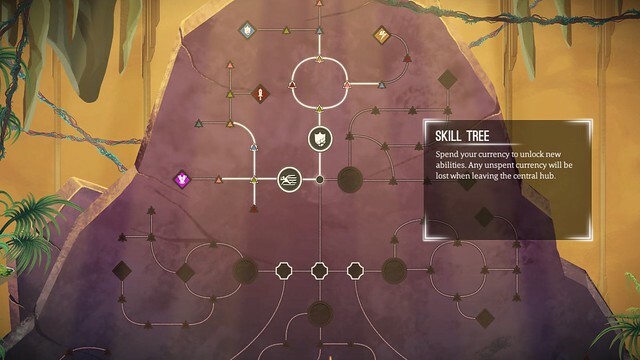 Here lies the Skill Tree, filled with Upgrades, Perks and the Metroidvania-style Abilities. Your Shards are spent on Upgrades, permanent stat boosting nodes like Health, Melee Damage and Critical Chance. These are the meat & potatoes of the Skill Tree and are the most common way of boosting Eshe’s powers. Next are Perks, which are gameplay-changing modifiers. Perks are found in the world, but equipped in the Skill Tree. Perks vary in power and the majority of them come with a downside to go with their powerful upside. All of these tie in to the feeling of “just one more run” we’re trying to nail. Finally, we come to the core of player progression: the Abilities. Abilities are found at Shrines in the world and are the real game-changers. In our PSX demo, you could find the Power Dash, a much more powerful move that replaces Eshe’s initial Roll. Once an Ability is found, it appears in the Skill Tree and unlocks a whole new section (a branch if you will), filled with new Upgrades. This brings us to Sundered’s catch phrase: Resist or Embrace. The Abilities can be corrupted. After defeating a boss, you receive an Elder Shard. This special relic can be brought to a Skill Shrine on the world to corrupt a specific Ability. A Corrupted Ability is a much more powerful version of the same gameplay mechanic, but it comes at a cost to your humanity. 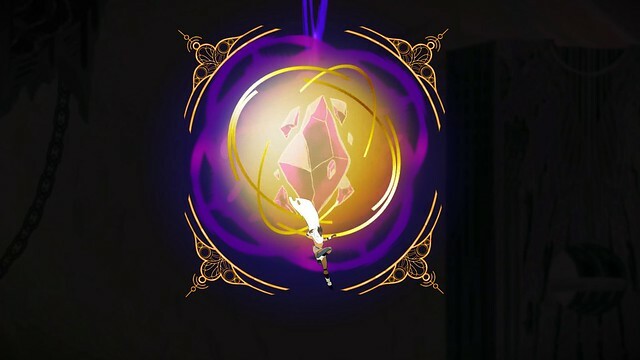 Corrupting an Ability has consequences on game mechanics, as you become more powerful, but has repercussions on the story and the game’s ending, as hinted to in the Embrace trailer. 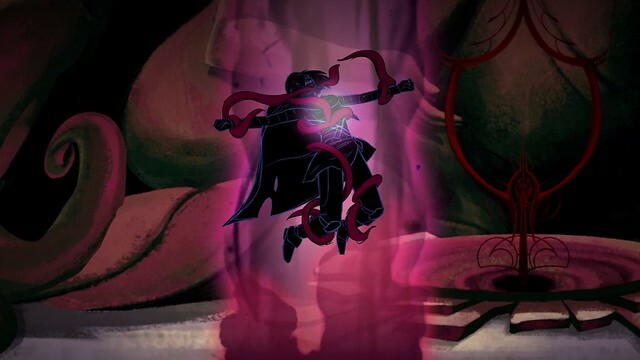 We hope you enjoyed this deep dive into Sundered’s design. As you can see, the game is much more mechanically complex than our previous game, Jotun, and we hope gamers will appreciate it. So far the response has been great and we can’t wait to show you more. If you want to stay in the loop, make sure to join our mailing list for all updates about the game (thunderlotusgames.com). As always, let us know if you have any questions in the comments and we’ll be glad to answer them!